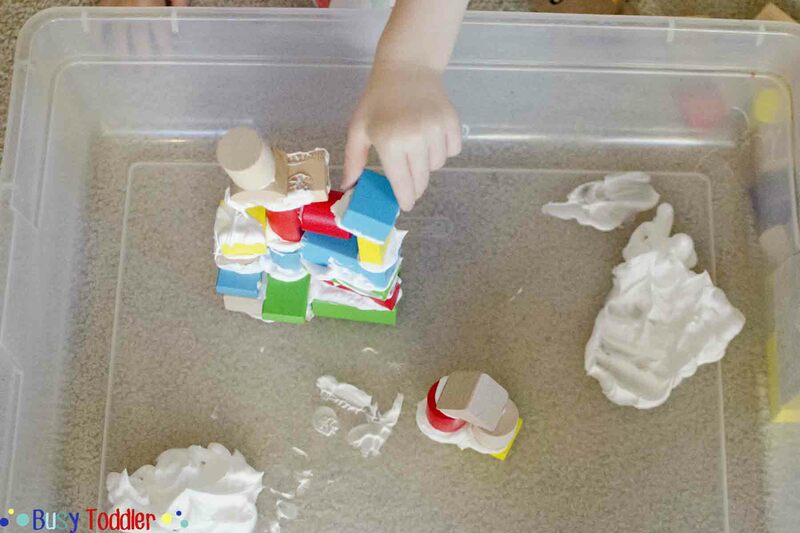 Create a sensory filled building activity with Shaving Cream Blocks. 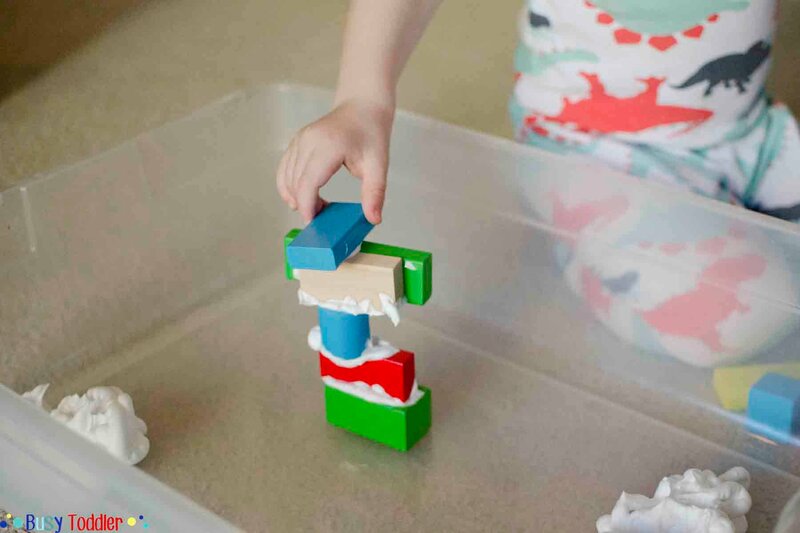 Blocks are probably my favorite toddler toy because there’s so much you can do with them. We could probably live on blocks alone around here. I decided to take our building up a notch today with Shaving Cream Blocks. What a simple way to change up a toy and add a little sensory fun into our morning. Just a few squirts and Shaving Cream Blocks was an instant hit at our house. I set up this activity in a medium sized storage tub to contain any possible mess and slop over. Worked like a charm! 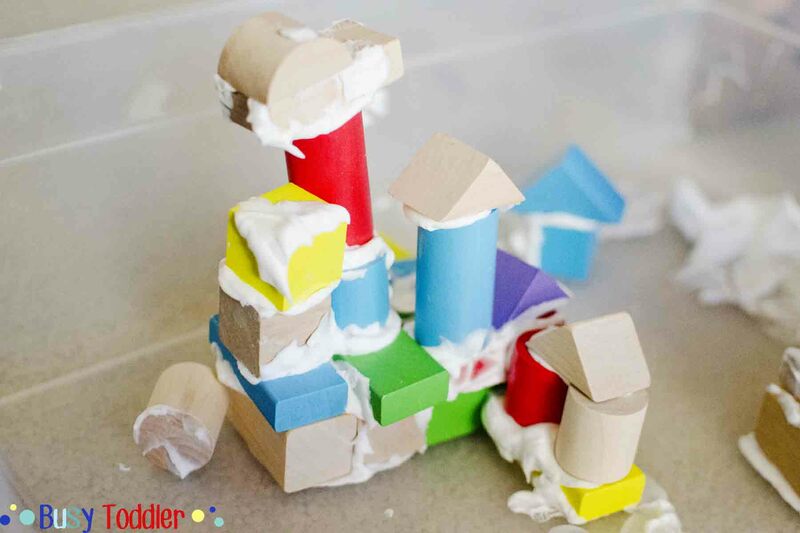 The shaving cream and the blocks were well contained and the overall mess was minimal. My toddler HATES getting messy, but he loved this activity. He was able to walk away from it without even needing his hands wiped. 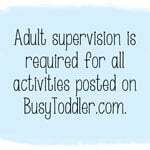 I love when I can find semi-messy activities that he can enjoy too. 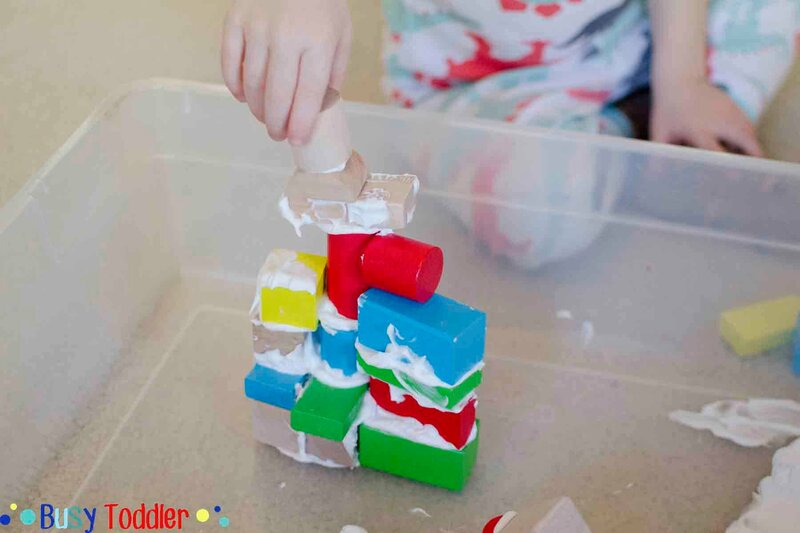 To start the activity, I showed my toddler how to carefully dip a block into shaving cream and stick it to another block. You can’t believe how well the shaving cream stuck to the blocks and what a difference it made in keeping the building together. Think bricks and mortar: that building would be sunk without its mortar glue. This block building was no different. Like I mentioned, the mess from this was really minimal, but I know that has a lot to do with my anti-mess, keep it clean toddler. I’m pretty sure if his toddler BFF had been over for this activity, a full hose down would have been needed. My advice: just keep one step ahead. Put down a beach towel under the tub. Have a wet wash cloth ready. Keep your eyes on this one. Speaking of eyes, shaving cream isn’t tear free so definitely know your toddler audience with this material. Once we finished, clean up was a breeze. Because everyone – the toddler, the left over shaving cream, the blocks – went into the bath tub together. I’m a big fan of any activity that ends with a bath bonus. 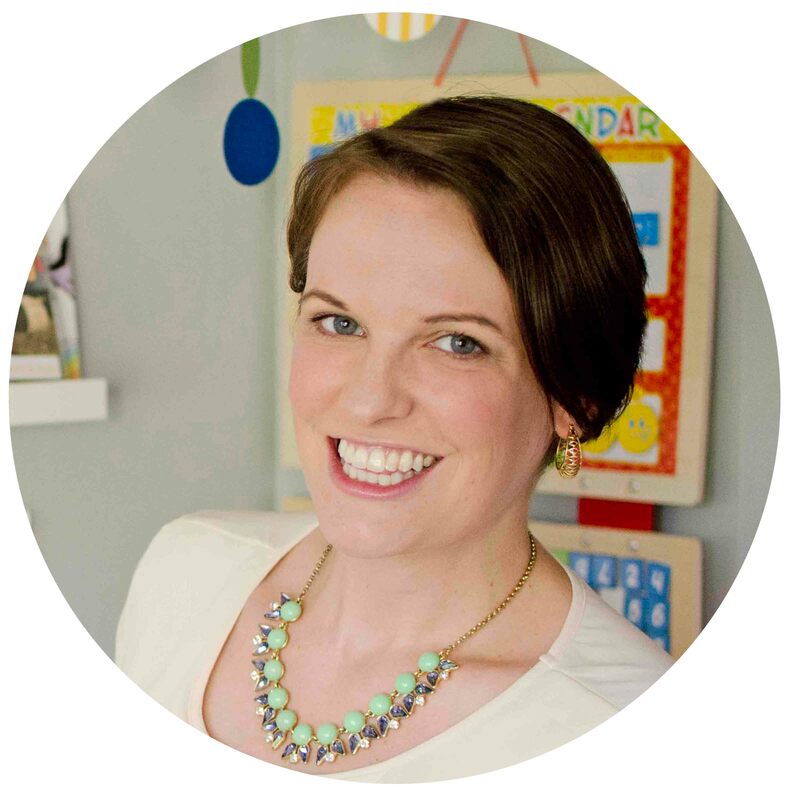 It draws out the activity and buys you even more happy toddler play time. Setting up our towers took almost 20 minutes. Playing in the tub with the blocks was another 20! Now that’s a high return of investment. 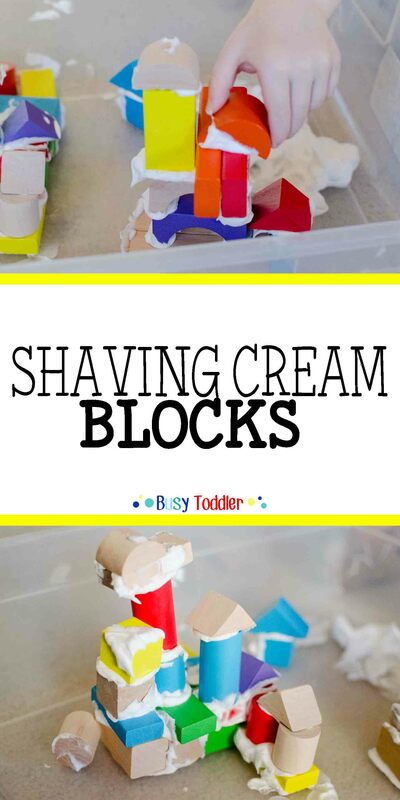 Thank goodness for Shaving Cream Blocks – this really made the morning for us! It gave us something fun and different to do, and we just loved it. 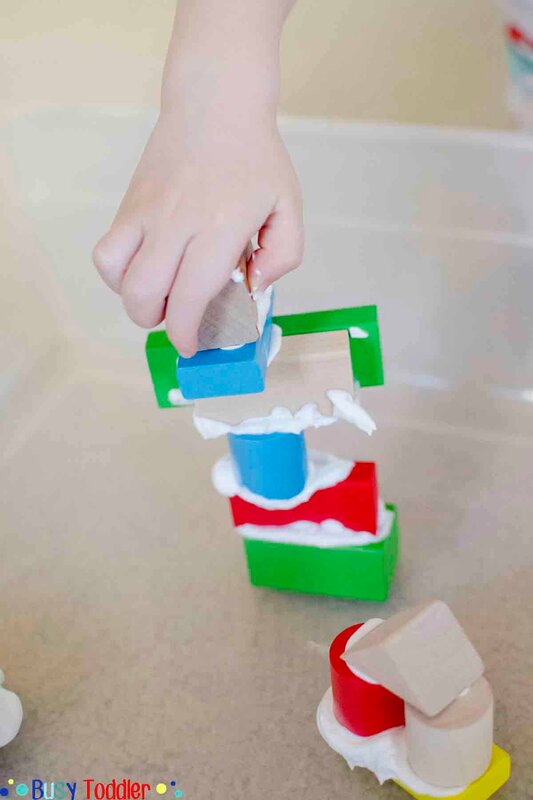 Plus Shaving Cream Blocks was a great blend of sensory, building, and fine motor skills and you know I loved that. 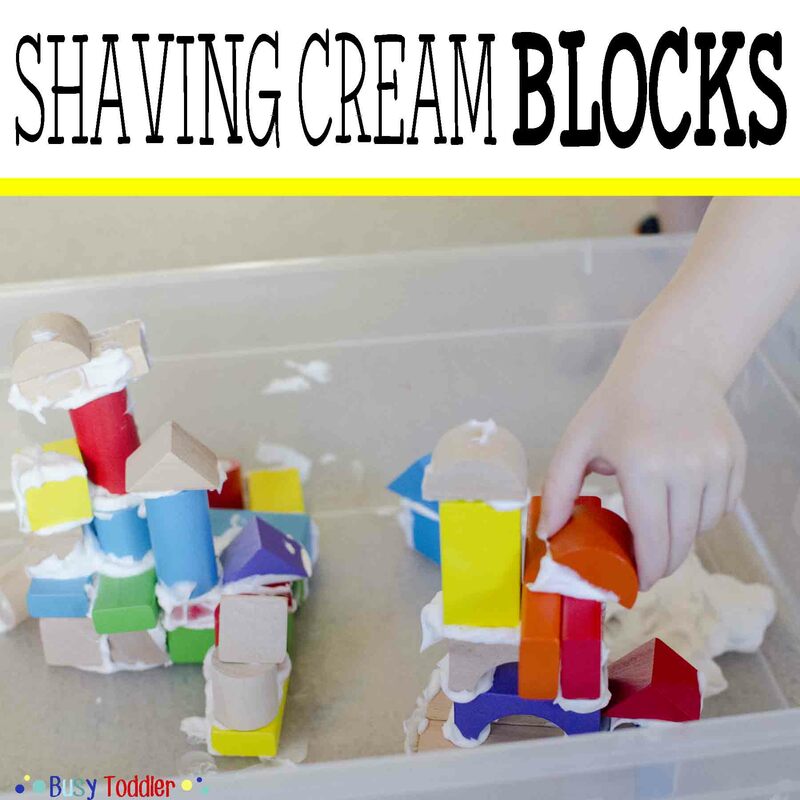 Have you tried doing Shaving Cream Blocks before? I absolutely love this and have never seen this wonderful idea before. Definitely gonna try it with my kiddos. Why just foam, and not gel? Gel doesn’t foam up as well and (because its gel) you have to massage it into a foam. I’ve found, it’s easiest to just start with foam rather than asking toddlers to go through an additional step of making it foam-up. They are wood blocks? Does the moisture eventually warp the wood? They are wood blocks and I haven’t had a problem with them getting warped.